Caption slip reads: "Photographer: Mack. Date: 1960-01-09. Reporter: MacMillin. Assignment: Robbery suspects. 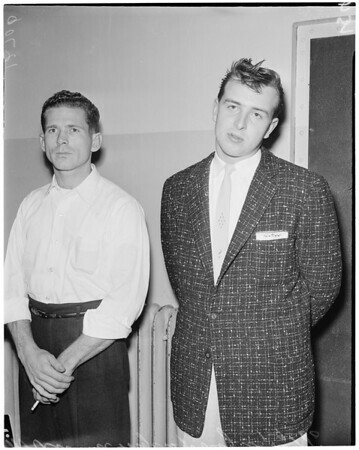 L. to r., 53/54: Robbery suspects Richard Myers and Ray Glenn Pegg at Wilshire station".